Is The War On Crime A Real War? R.J. Rushdoony: 00:01 Is the war on crime a real war? This is R.J. Rushdoony with a report on our threatened freedom. One of the most common of news stories today all over the country is about our supposed war on crime. State and federal officials are holding conferences issuing press releases about their concerns. One cynical police chief of one of our biggest cities came out at one such conference stating that the governor’s interest in crime was limited to grabbing headlines, not helping the police. R.J. Rushdoony: 00:37 With all our federal and state authorities supposedly marshaling their horses against crime, you would expect some decline in the crime rate. Instead, crime is the biggest growth industry in America today, perhaps second only to the federal government and the same is true all over the world. The state and federal governments are in fact spending more time in going after you and me than going after criminals. Consider all the effort spent in collecting and auditing tax returns as a starter. Even more, state and federal agencies are often spending more time and effort going after churches, Christian schoolteachers, and Sunday School teachers than after criminals. R.J. Rushdoony: 01:27 In one major state, the large attorney general staff is busy, not with the mafia but Christian schools who exercise their freedom of speech by speaking out on the issue of homosexuality. This made them supposedly political and hence not deserving of tax exemption. A welfare official of a major state has set forth a plan to license every Sunday School in the state as a childcare facility if even one child is present without his or her parents. Furthermore, all 50 states are now developing child control programs, not for delinquent children but for all children. R.J. Rushdoony: 02:10 Is there a war against crime or is there a war against us who are law abiding and God fearing citizens? More time, money, and energy is spent in people control than in crime control. The mafia is putting money into the bank. We are withdrawing what little we have to pay taxes which will be used to control us. R.J. Rushdoony: 02:35 One national magazine, Inquiry, recently expressed cynicism about the war on crime. The editor, who refuses to be identified with either the right or the left, simply stated his disbelief in the integrity of the status claims. Power over the people, not service to the people or the cause of justice, has become the major concern of state and federal authorities. The result is a steady decline in our freedom as the power of state grows bigger and bigger at our expense. Modern power state all over the world is rapidly becoming public enemy number one. R.J. Rushdoony: 03:17 The United States, the Soviet Union, Red China, France, Britain, Italy, Germany, and other states everywhere may sometimes be at war with each other. More and more however, it seems as though they are always at war against their own peoples. Modern man needs freedom from power of state. 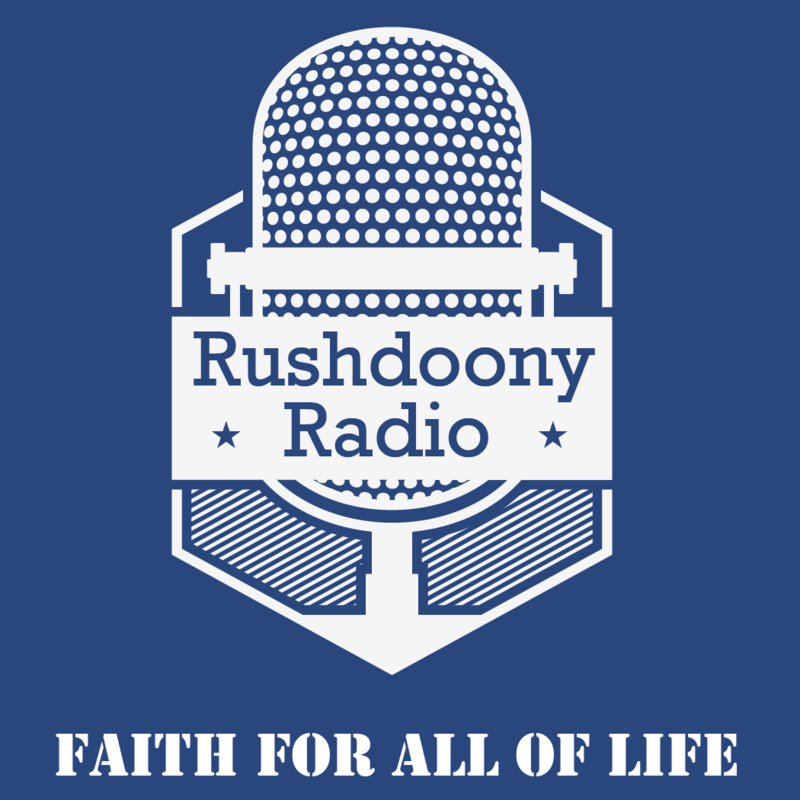 R.J. Rushdoony: 03:40 This has been R.J. Rushdoony with a report on our threatened freedom.